Where ever anyone was singing, Carl would try to be there, 'cause singing was his life. He lived and breathed it 7 and 24! 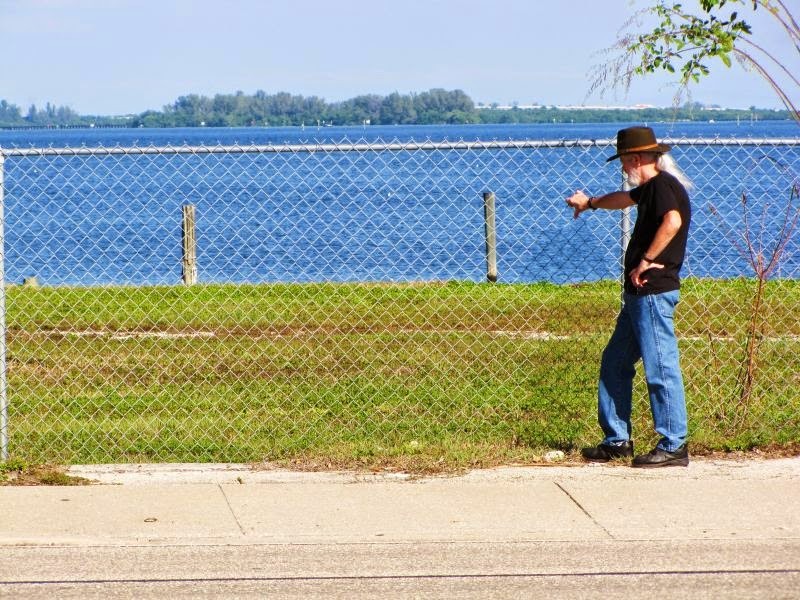 I first met Carl in the early seventies at the , where else, The Big Still lounge in North Fort Myers Florida.. Like so many of us, Carl was there for the Sunday night open Mic session. Like I said, if there was singing, Carl would be there if he could! Hey, Let's Make A Record! 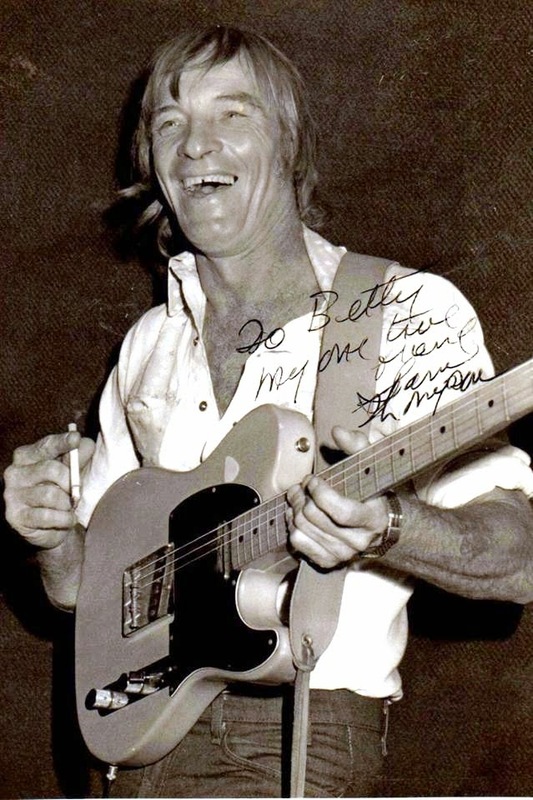 Somewhere around 1974, Carl and local performer, writer and producer Allen Wolfe jumped in Allen's VW bus and left Fort Myers heading for Lakeland to make a record of a couple of songs Carl had written, "Barbara" and "Princess With The Raven Black Hair." Now they didn't have any money to say so and were renting the studio by the hour. Carl was a bit concerned, because they didn't actually have a band, but Allen insisted that they already knew the song very well and that he could play all the music himself, and have the record mixed and ready for publication in just a few hours. Well, it didn't work like that! Nope, they worked three days getting those songs done. Needless to say they were not in a great mood on the way back to Fort Myers. Now if enough hadn't already happened, Allen's bus caught on fire! The only damage was to the wiring and no harm was done to Carl, Allen or the instruments, but they did have to get the bus towed back to Fort Myers. 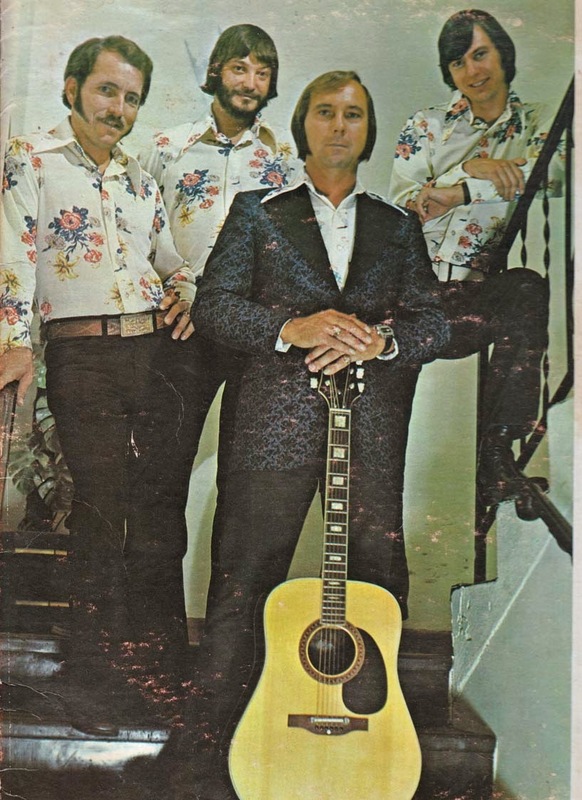 In spite of all their troubles, their work paid off, at least musically, because they recorded one of the finest pieces of country music I've ever heard. I never knew the record existed until 2007 when Carl brought a new 45 RPM of the song to my house. When you here the great music on Barbara and Princes With The Raven Black hair, remember Allen Wolfe played every instrument himself, and Carl's vocals are outstanding! In the early eighties Allen Wolfe took his own life. Way to young to leave us, but for his own reasons, he made that choice. 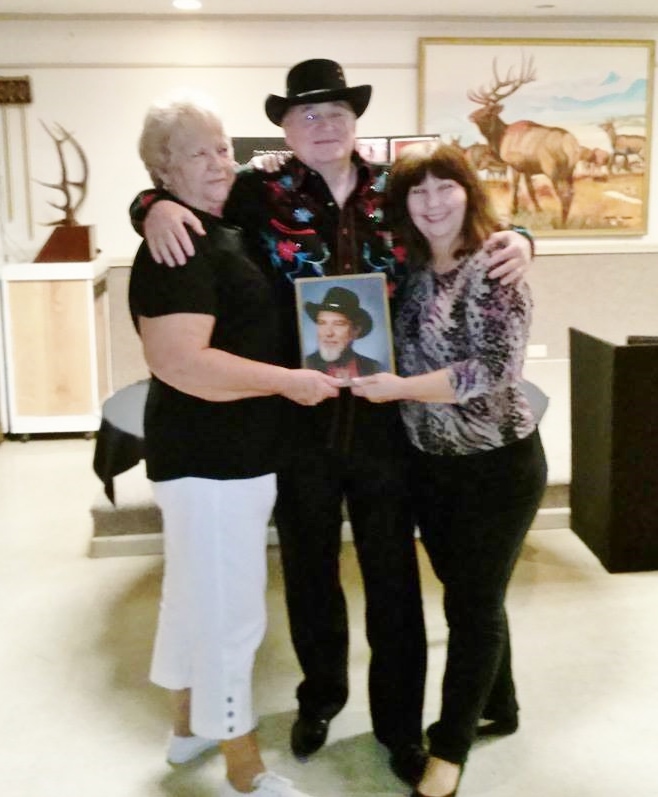 On may 31 our friend Carl Bowyer passed away in a Fort Myers hospital. He had been fighting several health conditions for the past couple of years. I saw him go in, out, in, out of the hospital several times during those years. What I didn't see was Carl giving up. He didn't know what the words meant, but on May 31, 2014 at about 9PM on a Friday night, Carl just couldn't fight anymore. I was with him right up until the end, and though he couldn't talk, he could hear me, and gave me signals that he knew what I was talking about. RIP, Carl. The world isn't and never will be the same without you! 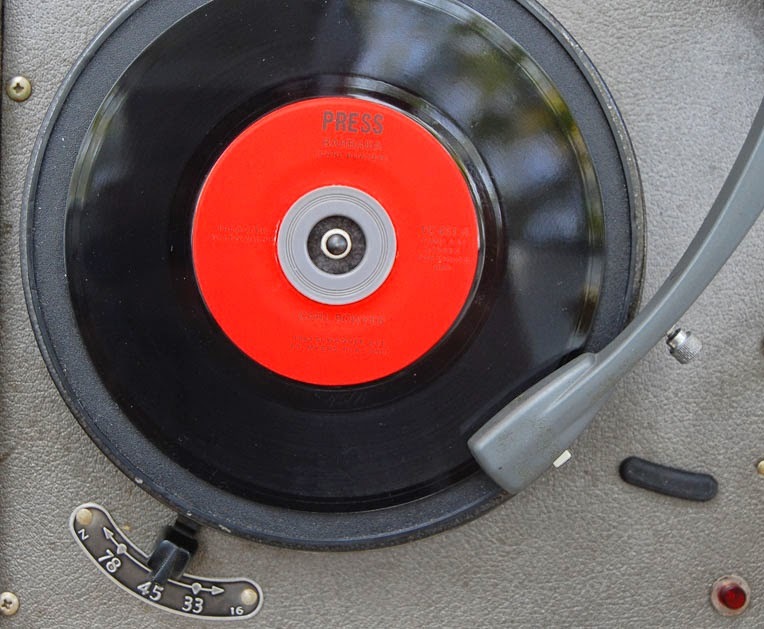 Original 45 RMM of Barbara. Print has become very faded and doesn't seem to show in photo, but can still be read when in hand. 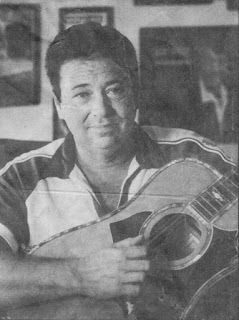 Press records was owned by Allen Wolfe. 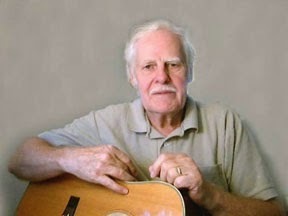 "Barbara" One of Carl's finest, a song he wrote about his wife Barbara. When I first heard this I told Carl that the song had no clear ending. He said you just had to make up your own ending for this one. I said "She didn't come back, did she?" He said "Nah, she didn't come back!" "A Life Time Of Love"
Johnny Noles was more than glad to include this one from Carl on his first LP. Performer, writer, master of many instruments, record producer. We lost Allen in the early eighties. He was much too young, and is missed dearly. Please note: I realize no profits from the music on these pages. They are from my personal collection and are meant to educate or maybe just bring a smile of how country music used to be. Please leave a comment in the comment section below, or sign the guestbook. As always, thanks for stopping in. Come back any ole time, as the latchstring's always out! Music below! Please have your sound on to enjoy this page!! What's that you say? What's the Big Still, and who s Johnny Noles? Well let's start with "The Big Still". The Big Still was a Honky Tonk located on the banks of the beautiful Caloosahatchee river in North Fort Myers, Florida. The Still opened it's doors as The Checker Club back in the 1940s,and in the mid 1960s changed it's name to The Big Still. During it's hey day, The Still had guest appearances by such country greats as Faron Young, Jack Greene, Charlie Louvin, Jeannie Seely, Billie Jo Spears, and many more. 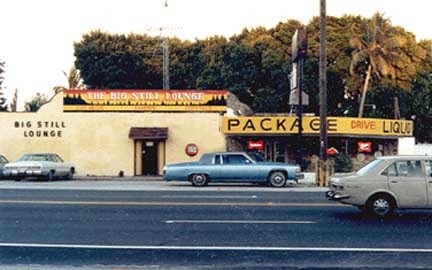 In June of this year (2005), after more than 60 years, The Big Still closed it's doors forever. It was a sad day for many of us old honky tonkers when the Still closed shop! Yours truly looking at empty lot where The Still once stood. Please note: I realize that many other successful local artists have played the The Still, and this page isn't meant to take anything away from them. I just picked Johnny because he was the first I knew of to bring country music to The Still, and I am more familiar with his work than the ones who came later. 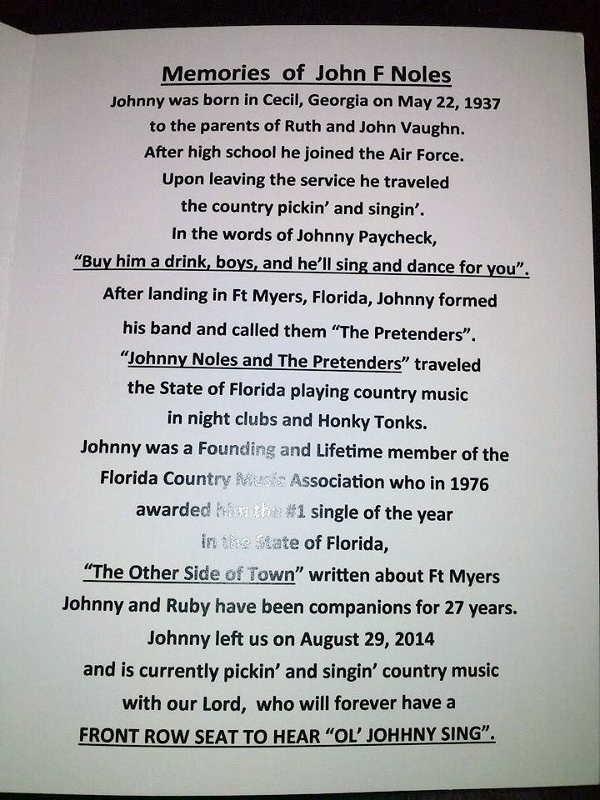 Now, who was Johnny Noles? 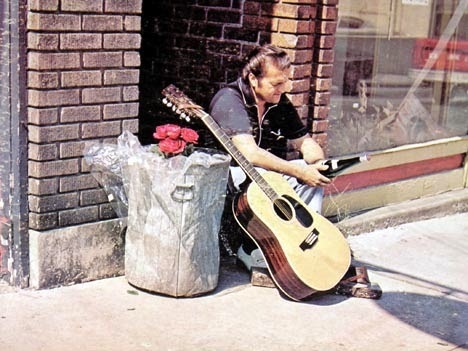 Well Johnny was the first local entertainer that I remember playing at The Still. 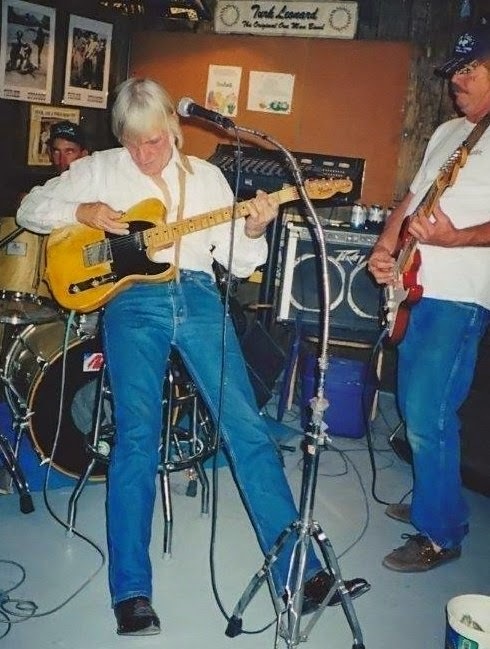 It was sometime in the late 1960s when I walked in the bar, and there on a tiny banstand in the corner was Johnny singing and playing guitar, along with Dave Harris on lead guitar, Steve Williams on bass and Kenny Byrd on drums. Together these four guys could put on country show that you would want to return and see over and over again. There were other house bands there after Johnny, but I don't believe any of them had that drive that Johnny and the boys had. I believe it was in the early 1970s that Johnny recorded a song called "I'll Pretend". 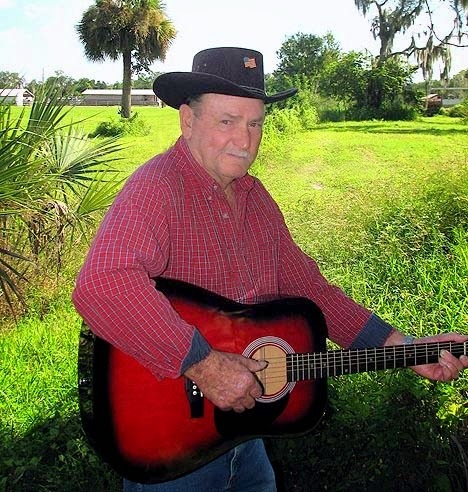 Pretend was a nice balled penned by Johnny and Florida entertainer Sam Thompson. After this, the band would be known as Johnny Noles & The Pretenders. 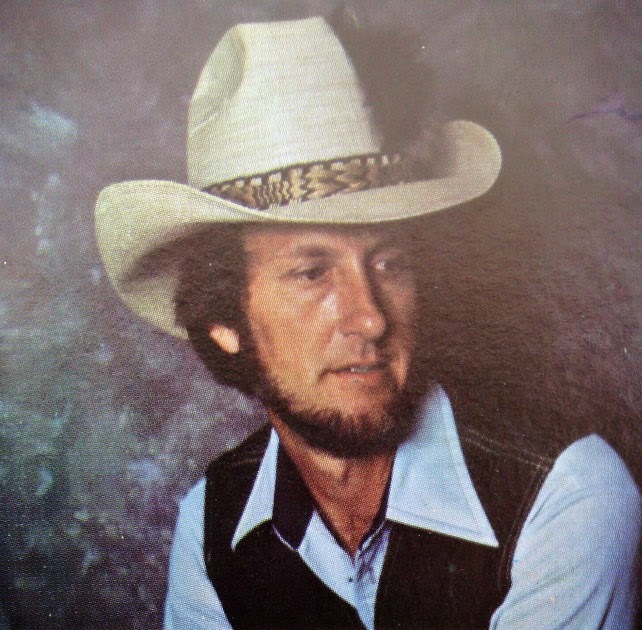 Johnny Noles The Pretenders never became big stars, but they did have their fans, and should be remembered well for their contribution to traditional country music. I have managed to round up some of the songs from my personal collection from Johnny & The Pretenders. 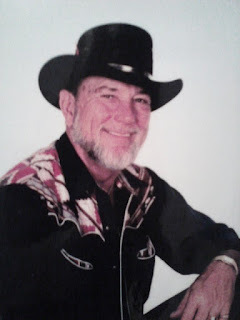 I think you will enjoy these classic country songs from a true classic country band. 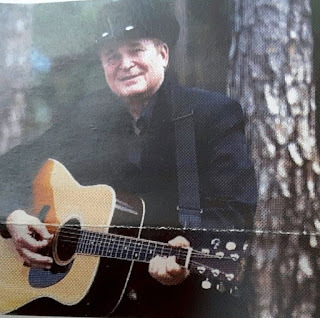 You will also want to pay special attention to "Take Another Look Around", a touching song written by Fort Myers song writer, good friend and neighbor Carl Bowyer. 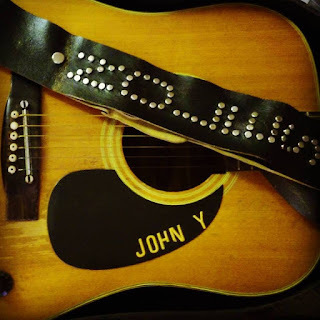 Recent photo of one of Johnny's guitars. Photo courtesy of Johnny's Daughter Mellissa. Now, here's 15 tracks and some of Johnny's very best. I searched for several of these tracks for years, and just when I thought I would never find them, Johnny's daughter Mellissa sent them to me! So thanks a million, Mellissa! You're the best!! 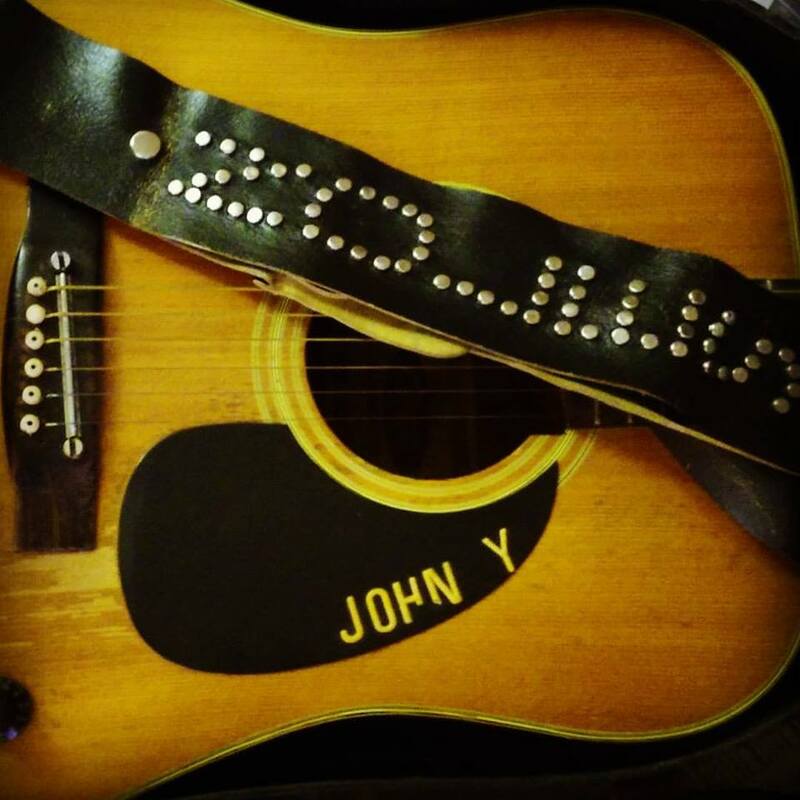 Thanks to Lonnie Mills for the songs he wrote in the collection from Johnny! 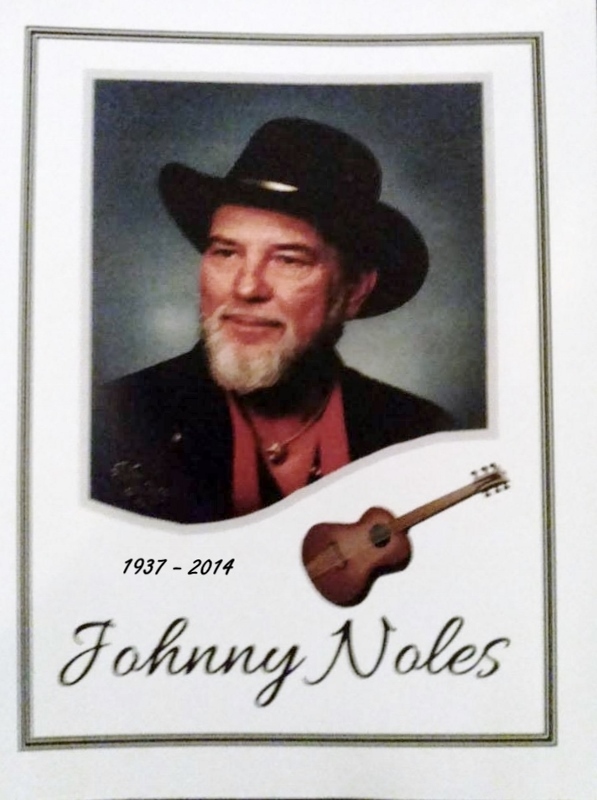 On August 29, 2014 Johnny Noles, at 77 years old passed away. In early September a celebration of life service was held and hosted by Johnny;s long time friend fellow musician and song writer Lonnie Mills. Below is a couple of photos from that celebration. Finding your site tonight touched my very soul, I was moved to Fort Myers as a 10 year old, and lived there till I was in my late 20's I still have a daughter in North Fort Myers...the FIRST place I ever sang in public was The Big Still....took my first drink there lol.....was so sad to see the lot standing empty...and to see Gary Link...wow...I met him...Thank you so much! Hi,I collect obscure country music,especially traditional shuffles, known as two steps. 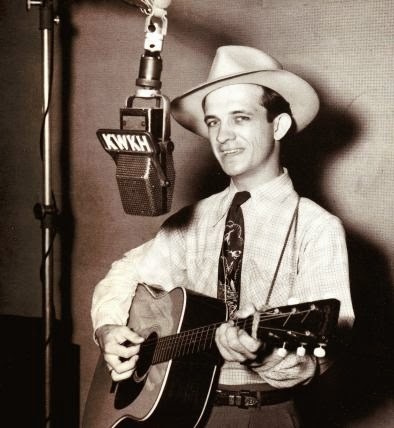 Johnny noles' I'll Pretend, man what a shuffle, you really feel that honky tonk atmoshere in that song. I guess what I am saying, is how does a person get a copy of these. Please let me know. Thank you Gary for your help. Not only have I found and spoken to my father, I'm meeting him next weekend. You've helped fill in a large part of my life. Just listened to Johnny Noles "I'll Pretend"! Now I know I'm going to throw away the one I wrote along those lines! It's truly the best there is! I enjoy your site. 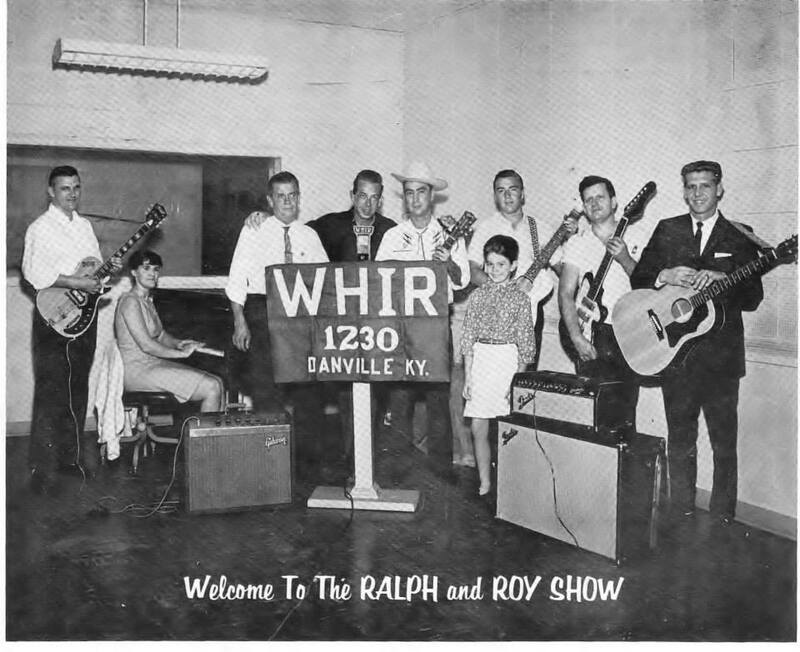 I remember the good times I had playing music with Ralph Raulerson and later playing the big still with Moonshine for 5 years. Thanks for the memories. Love your site, especially the ones from Fort Myers. I moved here from KY in the early 50's. Have many fond memories of the Big Still. I would love to see something about some of the other bands that played there for extended times such as Bob Starling's band & the Sundown Band which was the last band to play a long running gig there. It truly was a sad day when they closed it. Many of us can relate important dates in our life to this landmark. I was very proud to have had my wedding reception there with all our friends singing songs for us & enjoying my first dance with my husband there. Keep up the good work. Please note, I realize no profit from the music posted on these pages. They are here for educational purposes or just to bring back a memory of the way it used to be! Please take a moment to leave a comment below, or sign the guestbook, and thanks a million for stopping by! Come back any ole time, as the latchstring's always out! Hey, I have an idea, let's talk about Sam Thompson! Florida's honky tonk hero!! 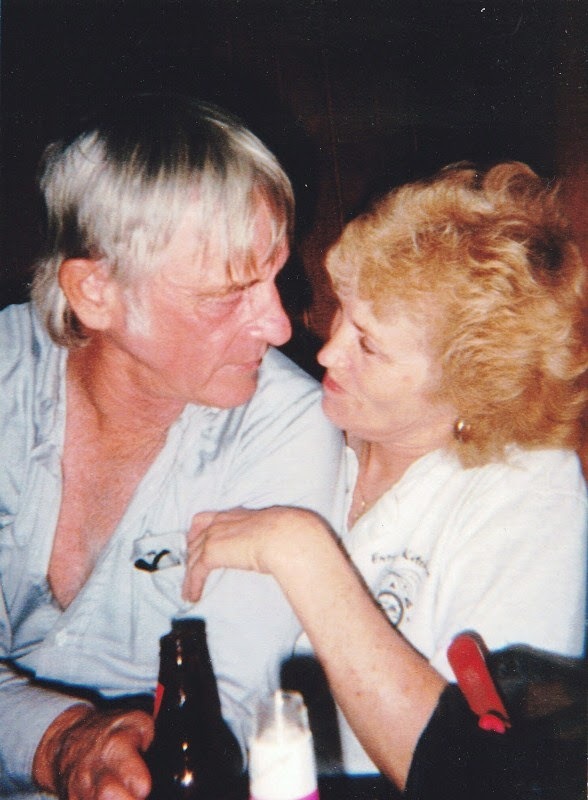 I first met Sam in 1963 at a little bar named “The Riverside Kozy Kitchen", located between Okeechobee and Sebring Florida, very near Sam's home in Basinger! He was there with just his guitar, picking and singing a few songs. After just a few minutes, I knew I was listening to one super talented wild man! I learned that he also played at many of the honky tonks in South Florida. I would go listen to him every chance I got. Okay, so I wasn’t old enough to get into those bars, especially for the purpose of drinking. But remember, we’re talking about south Florida in 1963. There wasn’t many rules then, at least not enforced ones. But that has nothing to do with this here story anyhow! 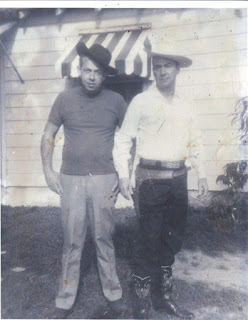 :) In 1965, I moved to Fort Myers, and for a brief time, lost contact with Sam. But not for long, because one night in the Big Still lounge, to my surprise, there he was! 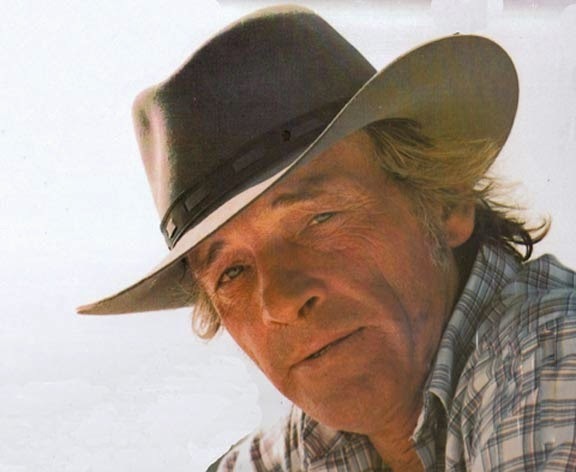 Sam was usually billed as a country act, and he could do you a mighty fine country song. Heck, he could even write you a great country song. 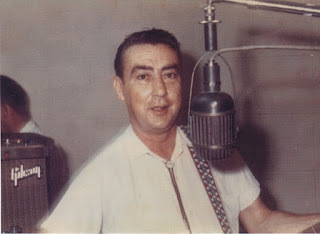 But he was also a master of sound and a super guitar picker. He often enjoyed proving it with his highly wired rock and roll songs. Many said his music was sometimes too loud and that it overpowered his vocals. There was times I think that was probably true, but the fact is, Sam was a crowd pleaser, and just an all around nice guy . 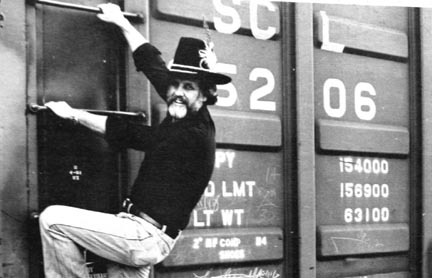 We lost Sam in 2000, and when we did, we lost a true honky tonk hero. I lost contact with Sam several years before he died. 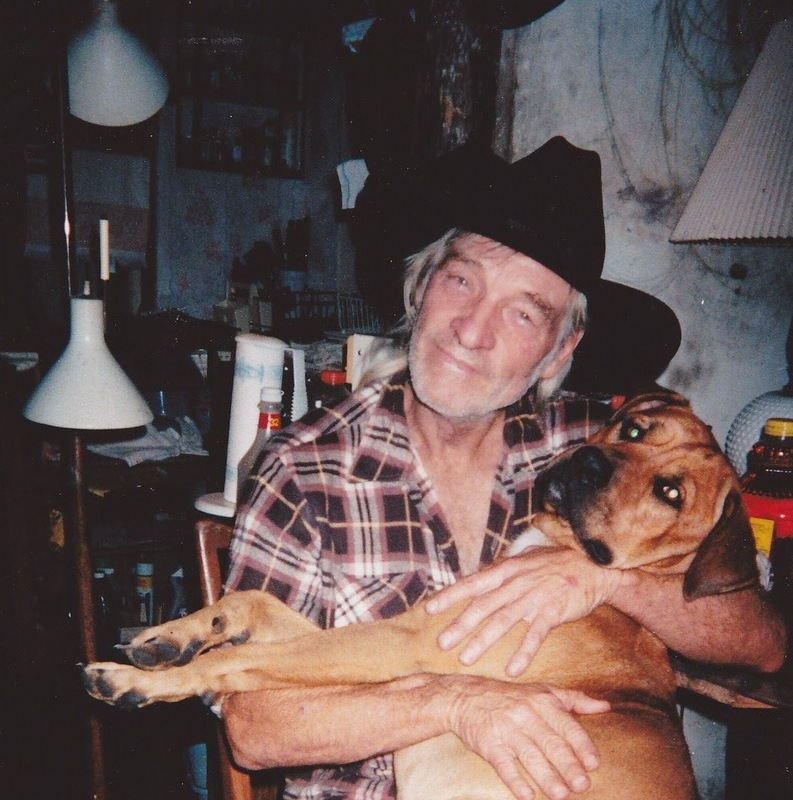 My own health kept me out of the honky tonks, and I believe he was working away from the South Florida area. But make no mistake, I am proud to have known this super charged entertainer we called Sam Thompson! Now rare back and listen to these great songs written and performed by Sam! But don't forget to keep scrolling for some great photos and comments from some mighty fine folks who knew Sam! 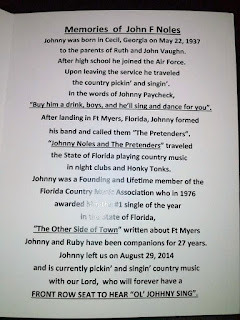 Below is four songs written or co written by Sam and performed by Johnny Noles. California, Little Joey and Thirty Year Old Hippy was written by Sam, I'll Pretend was written by Sam and Johnny. What some mighty fine folks have said about Sam! I had the pleasure of meeting Sam at the Empire Lounge. He was playing with a lady and a darn good singer herself, Elaine Christensen! She was married to a friend of mine Rick Titus. We went back to their place, and I think Sam played and picked all nite long! Sam Tohmpson was like cool hand Luke with a bit of Clint Walker mixed in! He used to **** other musicians off sometimes, especially if they weren't used to him. He never had a set list and he never had a set length, LOL. He might play two hours straight without a break and that would sometimes make some musicians upset because they were used to 45 on 15 off, but Sam played for the people and once he got momentum, he kept up the pace! He would go from one song to the next and you never knew what was next. The first Time we played with him he walked on stage and started playing and we just had to jump in and hold on for dear life, and that was one of the things that made him so great. I miss him . I just wanted to say Thank you. My name is Joe Thompson and Brother name is Robert Thompson. We are Sam Thompson's Grandsons. We have been searching for Sam's songs for a long time. We were looking thourgh some old stuff of my parents and found one of the first record albums with his songs on it. Then we found your web site. My brother and I just wanted to say Thank you so much for having this web site to come listen to our grandpa. I first met Sam in the early 70's'. I was playing drums around Ft.Myers and he was playing with Jose and Jim Short. He and Jose had a disagreement and parted company for a time. At that point Sam called to see if I would join the group. Would I? I jumped at the chance. So began some of the best times of my life. 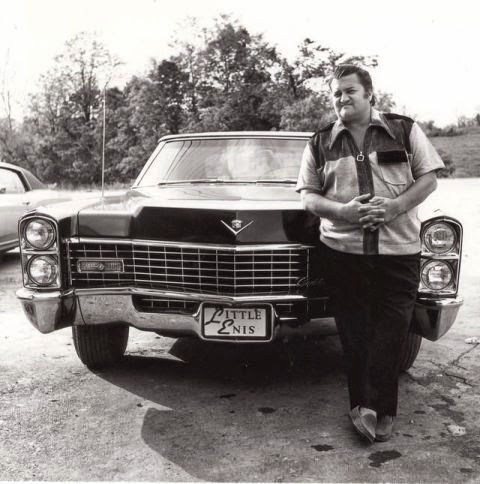 I.ve worked with a number of really good singers and Sam never took a back seat to any of them .Some of my favorite songs he did was GETTIN' BACK TO NORMA, I'VE BEEN A FOOL , AND ANYTHING BY GEORGE JONES AND ELVIS. I thought the world of Sam, and miss him just like everybody else.HE WAS FUNNY, SINCERE and an all round good man. And I'm proud to call him my friend. I can tell ya what, Sam was a hoss. He always had a smile for everyone. I used to do Okeechobee On My Mind at jam sessions at the Big Still. I remember when he played at the fin and feather, the good spirits on 441, the empire, and the everglades bowling alley. He always drove an old thunderbird. It was ragged as a mango seed. We went to see Sam the night he opened for Chralie Louvin. He was bare foot and no shirt. He did Okeechobee On My Mind and left. What a hoot! Just out of the blue I decided to Google Sam Thompson. I had been meaning to do it for a long time..I didn't know Sam had passed. I was privileged to have been in a band with Sam when I was young and he had a huge impact on me. He was lager than life on stage..and he had it all, a real natural. 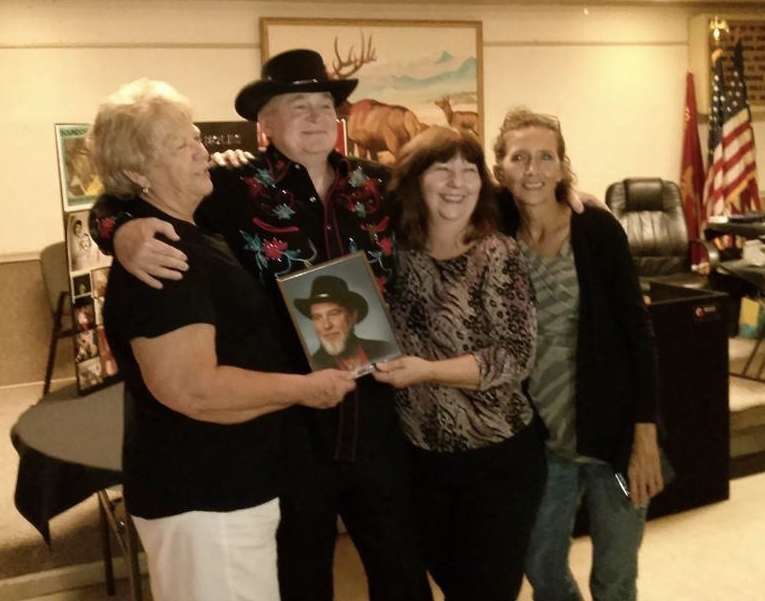 In feb 2013 Sam's widow Marilyn Thompson and her friend Bobbie Conrad held a live tribute to Sam at the Top Draw lounge in Labelle, Fl. Musical host for the event was Miss Birdie Lee. A big thanks to these dedicated ladies and all who helped, as well as those who attended, for their work in paying tribute to Florida's honky tonk hero. Sorry Ole Gary couldn't make it! Other artists to come: Johnny Noles, Gary Link, Little Enis (Carlos Toadvine), Carl Bowyer, Jack Hall and more. Note: I realize no profit from the music on these pages. They are from my personal collection and posted for educational purposes or maybe to just bring a smile or pleasant memory from the way it used to be! Please take a minute to leave a comment or sign the guestbook!